Protesters donning T-Rex costumes gathered outside confirmation hearings for US President-elect Donald Trump’s secretary of state nominee, Rex Tillerson. Tillerson’s nomination has stirred controversy and begged questions around how effectively the former head of the world’s largest oil company can transform himself into the top US diplomat. The Senate Foreign Relations Committee put questions to Tillerson about his suitability for the role of secretary of state under Trump. 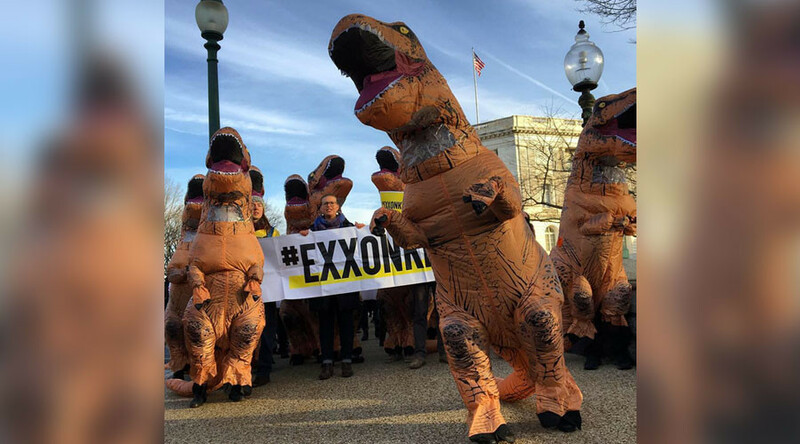 Hashtags used to highlight the protests included #Rexxon, #RejectRex and #Exxonknew - which refers to Exxon’s alleged awareness of climate change as early as the 1970s.